The Stewart-Haas Racing team of Kevin Harvick and the No. 4 Ford were issued an L1-Level penalty by NASCAR Wednesday. The penalty has major consequences to Harvick’s championship bid. Harvick won the Texas race last Sunday which should have given him an automatic spot in the Championship 4 at Homestead in two weeks. NASCAR took the winning Ford back to the R&D Center in Concord NC. After a tear down, the sanctioning body said that the team violated Section 20.4.12 of the NASCAR Rule Book that is specific to spoilers. Spoilers must be used exactly as supplied from the manufacturer and not altered. Harvick was penalized 40 driver points and the team lost 40 owner points as well. Harvick’s win at Texas no longer automatically qualifies the team for the Championship 4 in Miami. 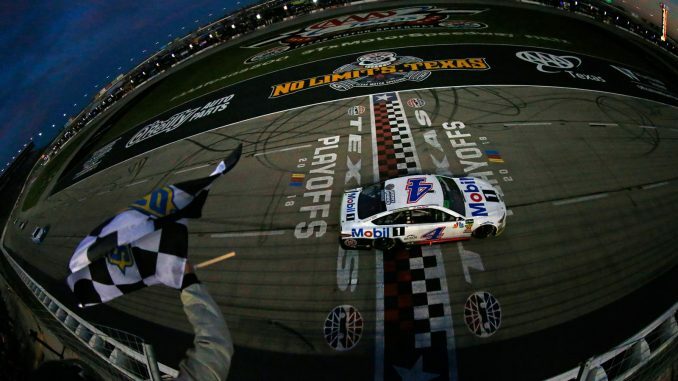 He will enter this weekend’s Round of 8 finale fourth among eight playoff drivers in the standings, three points above the cutline – should there be a tie for the final transfer spot, Harvick cannot use the Texas win in the tiebreaking procedure. 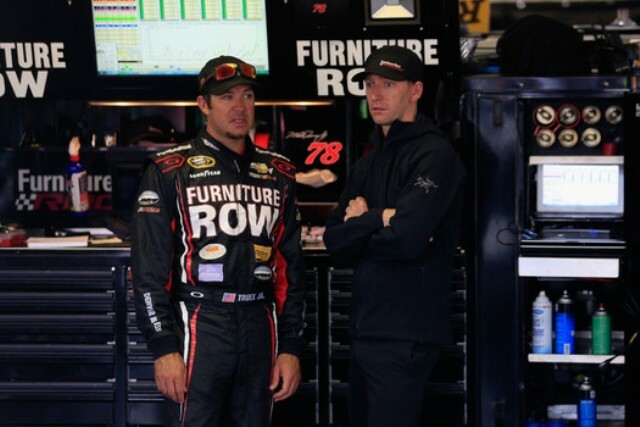 In addition, crew chief Rodney Childers and car chief Robert Smith have been suspended for the next two races – ISM Raceway at Phoenix and the season finale at Homestead-Miami Speedway. Childers also has been fined $75,000. • An L1-level infraction to the No. 20 Joe Gibbs Racing team. Crew chief Chris Gayle is fined $50,000, and car chief Jason Overstreet is suspended for the next two races. Driver Erik Jones loses 20 driver points, and the team loses 20 owner points. NASCAR said the team violated Sections 20.4.h Body & 20.4.17.8.b Package Tray Note: Air cannot pass from one area of the vehicle interior to another. Vehicle package tray must remain flat and straight, front to back, with one break. Rule 12.5.2.6.2(c) applied to race finish as a post-race L1 infraction.